The scenery is spectacular, but It is not so easy to view the scenery and watch the road so I think I’ll try the train next time !! I’d suggest you just go as far as Mont Louis then get off to let the kids stretch their legs, have a picnic up near the Commandos Centre – maybe see them doing exercises-or a lunch in one of the little restaurants then get the next train or a bus back. The train actually goes from Villefranche though it connects with ordinary ones from Perps at times. It is very rattly and noisy so once is usually enough! We just take visitors to the station now and pick them up later!! Also get the kids to spot the spooky burnt out old hotel at the end of a valley below the line. The most spectacular section is between Fontpédreuse and La Cabanasse – wooded deep valley with meadows above. Did a memorable walk back in May. Drove to Fontpédreuse and caught a train to La Cabanasse, then walked back to Fontpédreuse down the valley – but be warned, there is some uphill as well. Shade for much of the way is nice plus some spectacular views of the suspension bridge. Good chance to pop into the natural hot springs at St Thomas. The train is a lovely way to see the beautiful country but beware if you are thinking of getting off to walk into some of the towns along the way. 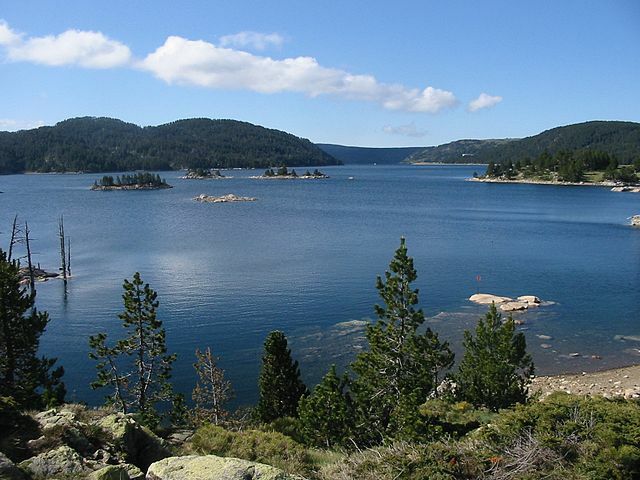 The train line is quite some distance from places like Font Romeu and St Thomas Le Bain. Yes its a great day out, but when we went there were enormous queues to get tickets. The way it works is that they only sell for the train that is waiting, when its full you have to wait in the queue for the next one. That means you can be waiting for a long time! You can’t buy tickets in advance for the next journey then go away and get a coffee. Our advice would be to get there early, don’t expect to get the train you went for, and be prepared (with water etc.) to wait. There is a toilet available and it wasn’t hard to park (surprisingly). There is also a very nice cafe/bar with food etc. once you have your ticket. I agree Mont Louis is a good place to get off at if going from Villefranche de Conflent, the village is just big enough to get round in the couple of hours you have before the return journey (don’t leave it to the last one or you might not get back if its full). The village is about a 20 minute walk uphill so wear trainers. “Recently I celebrated in dignified fashion the 100th anniversary of my first arrival at Mont-Louis from Villefranche-le-Conflent. The date was 19th July 1910. Since then, I have never balked at undertaking the journey every day of the year in all weathers. “I never get bored by the gorges of the Graus, the Séjourné and the Gisclard. Not to mention also the tunnels whose very names sing out the beauty of the landscape – San Rouma, Molles, Liou, Castagnal, Coste Littge, Paillat, Terre Blanque – as do the names of so many streams and ravines. Perhaps it is the sunshine that gives me my name. Yellow Train. “Almost a year later (28 June 1911) I set about conquering the Cerdagne. After stopping at the highest station in France, La Bolquère (1592m), I passed by Font Romeu and snaked my way discreetly along. Soon I discovered the beautiful plain of the Cerdagne and the slopes of Puigmal and Sierra du Cadi. At the bottom of this vast basin were the villages of Saillagouse, Err, Sainte Léocadie, Osséja and, finally, Bourg Madame. This was my terminus until 1927 when my line was extended to the present terminus of Latour-de-Carol. 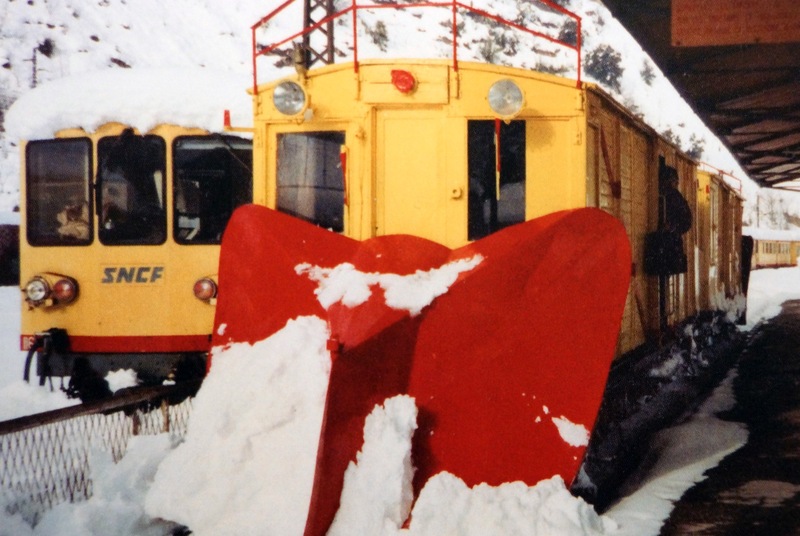 If anyone living is entitled to anthropomorphise Le Petit Train Jaune it is surely Jean-Luc Molinier. ATTENTION. DEPARTURE ONLY AFTER AUTHORISATION FROM THE HEAD OF THE LINE. At each of the 6 stations with passing points between the two terminuses, the train driver had to wait for M. Molinier’s authorisation by radio to continue. These were Olette, Fontpédrouse, Mont-Louis, Font-Romeu, Saillagouse, and Bourg-Madame. Altogether there are 22 stations on the 62.5 kilometre stretch of line from Villefranche to Latour-de-Carol, with the remaining 14 being request stops. M. Molinier will never forget the year 1985 when the line was again threatened with closure (Doctor Beeching style) because it was losing money hand over fist. First the railwaymen of Le Petit Train Jaune went on strike, supported by all and sundry including many local politicians. 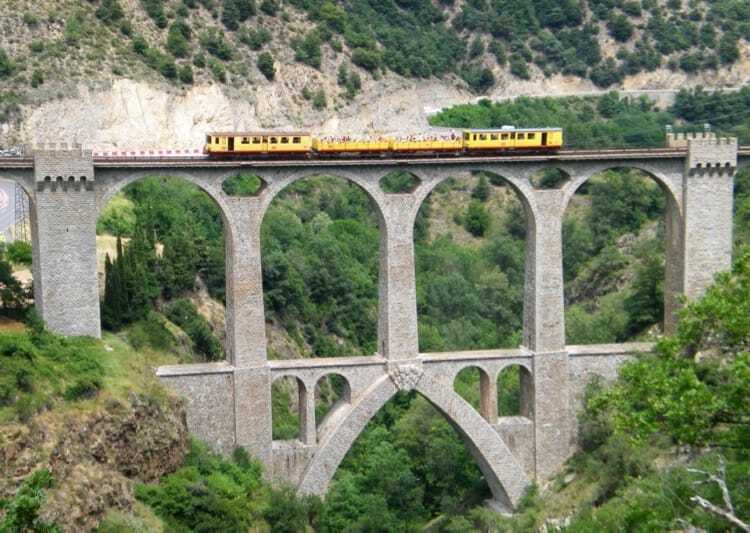 However, it was only after a national strike of SNCF railway workers that the line was saved, and a decision made to try to exploit its tourist potential. It is now one of the most used lines on the SNCF’s TER networks, taking a reported 400,000 passengers a year. Even regular motor car users in the Cerdagne are glad to use their “little mountain canary” when the RN116 is blocked by snow or rockfalls. A little further along the line, this breathtaking structure was designed by Albert Gisclard and is the only suspension bridge in use on any French railway line. 240 metres long and 80 metres high, it was completed in 1909 and was the scene of a tragic accident on 31 October of that same year. During a test run over the bridge in freezing weather, the brakes failed, the train skidded over the bridge and crashed violently into rocks after rounding the first bend. Six men were killed including Gisclard himself. “L’accident du Paillat” remains embedded in local memories. Villefranche and Mont-Louis have already been listed by UNESCO as world heritage sites on account of Vauban’s fortifications. 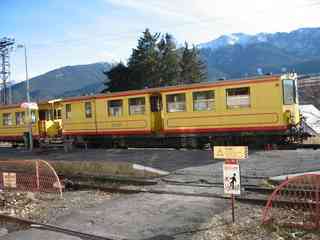 There are fervent hopes that Le Petit Train Jaune will eventually be added to the list. Basil left us in 2011 after a long struggle with cancer, but his pearls of wisdom, cleverly crafted articles and bucketloads of information on the P-O remain on this site and many other Anglo-French web sites. Google him! He may be gone but he is most certainly not forgotten!